When I think of Halloween, my mind races back to colorful memories of bright and lively costumes, overly sweet and delicious fun-sized bars of chocolate, and children of all ages screaming “trick or treat”! As most parents know, children who are especially oversensitive to auditory, visual, and tactile stimuli may experience a spark in meltdowns or increase in negative behaviors as a response to this incoming sensory input. Below are some helpful strategies to circumvent these challenges before the day and ensure a safe, fun, and successful Halloween for all. experiences resulting from auditory overload. If your child has auditory sensitivities, investing in some noise-canceling ear plugs or headphones may help to alleviate some of the meltdowns that arise with loud music or conversation at Halloween parties. Trick or treating is one of the most fun and special parts about Halloween. Encouraging children to take part in this special tradition is important to allow them to be able to explore and grow their social skills and leisure opportunities. If your child is tactile or visually sensitive, or he becomes overly emotional or uncomfortable when having to meet and introduce themselves to people, it may be helpful to have an older sibling take on the responsibility of introducing selves to neighbors or family while trick-or-treating. Let your child choose if they want to partake in ringing the doorbell and asking for treats, and know that it is okay if they wish to hang back with caregiver while visiting unfamiliar houses. Role playing with your child to help them prepare for the day’s activities can also be a helpful way to improve their social emotional responses. Practice makes perfect, especially when it comes time to wear a costume! Oftentimes, Halloween costumes can be hot, difficult to put on, or uncomfortable. To avoid this nightmare, prepare your child by having them wear their costume days before the festivities, so that they have an opportunity to break in their costume on their own time, which can highlight any potential issues beforehand. Hosting a fashion show with other siblings or friends could help to make the idea of wearing non-traditional clothing more fun and exciting in a non-threatening environment. For Halloween parties, make sure to bring some familiar food for the child to enjoy. Safe food choices can be comforting in an unfamiliar setting like a family or friend gathering, especially when the parent is not there for support. If the party is at your house, take advantage of this by setting up a sensory corner away from the main area of entertainment and provide extensive individual and all age activities to try out. Some good suggestions may include coloring, painting pumpkins, or themed craft jewelry. Playing quiet music and decreasing the amount bright lighting can help alleviate some stress for children with sensory concerns. Don’t Let Halloween Spook the Nutrition out of Your Kids! along with the health of my young daughter. All foods have some place in our diets. Candy is one that should appear less often than most. Here is my advice regarding how to handle all the candy your kids bring home from Trick or Treating. Before Trick or Treating, as in the night before so you have their full attention, explain what the ground rules are going to be for the candy. Make sure they know what to expect ahead of time. The kids can pick 5-10 of their favorite candies from trick or treating to eat Halloween night. Save the rest and choose 1-2 candies to have each day from there forward. Pick a handful of candy to eat at designated times. Give the rest of the candy to both parents to take to work. Remember the ground rules. They may start whining about what their friends get to do and how unfair you are as their parents. You are in charge; you make the rules; therefore, you must enforce the rules. In addition, remember that a moderate amount of candy in one day is not the end of the world. Eating a little candy every day for a number of days is not all that bad either; however, having no rules relating to eating the candy can result in unnecessary sugar consumption in short periods of time. This will likely result in a huge crash in behaviorIt can start as hyperactivity and quickly escalate to emotional outbursts, anger or aggression and feeling ill. Also, they will probably not have an appetite for other food, making mealtimes a definite struggle. Be conscious to not use candy as a reward. It sends a message that there is some great value in candy when you use it as the ultimate reinforcer for what you want them to do. This will turn into a continuous battle once you decide that you don’t want to reward them with candy. Slice carrots into 1 inch thick rounds, and top each with a blob of cream cheese and one half of a pitted black olive. Slice apples horizontally so that you have ¼ inch flat disks; cut out the core centers. Slice apricots carefully in half (lengthwise) and place sticky side down onto the apple rounds. Do the same with raisins or dried cherries and place stick side down onto the apricots. Witches Fingers- carrots, block of white cheddar cheese or string cheese, sliced almonds, peanut butter, cream cheese. Use baby carrots or peeled thin carrots and put a small dab of peanut butter on the top of one end. Place one sliced almond on the peanut butter so that it is held in place. This is the witches fingernail and the carrot is the finger. Do the same with the cheddar or string cheese by slicing it into finger-like shapes and putting the almond on using a dab of cream cheese. Arrange on a plate and be sure to slice in “knuckles”. Just add a few dollops of canned pumpkin and a little sprinkle of nutmeg and cinnamon to your favorite pancake batter. Try pouring the batter into greased pumpkin-shaped metal cookie cutters on the griddle to make festive shapes. https://nspt4kids.com/wp-content/uploads/2016/05/nspt_2-color-logo_noclaims.png 0 0 Stephanie Wells https://nspt4kids.com/wp-content/uploads/2016/05/nspt_2-color-logo_noclaims.png Stephanie Wells2012-10-29 09:17:152014-04-26 15:59:27Don't Let Halloween Spook the Nutrition out of Your Kids! Guest Blog From Bark Busters! Don’t leave your dog outside. Even if you have a fenced yard, bring your dog inside where it is safe. Your dog may be used to strangers, but so many little ghouls and goblins running about may be too much. Remember also that it is a natural instinct for dogs to protect the family from strangers, and on Halloween there will be no shortage of strangers. Reassure your dog. The best thing you can do for your dog when he is feeling unsettled by Halloween activities is to act as you normally would around your dog. By over-reassuring your dog or giving him an unusual amount of attention, you inadvertently can communicate to him that there must be something to worry about. Have your dog get used to costumes. Your dog may see his family members as strangers once they don their Halloween costumes. Before the kids put them on, allow your dog to scent the costumes and keep masks off while your dog is around. Keep candy away from your dog. Many candies-especially chocolate-are toxic to dogs, resulting from a mild upset tummy to vomiting and diarrhea, or even death. If you want to keep your dog safe, make certain that sweets, including their wrappers, are kept well away from your dog. Protect dogs from candles and pumpkins. Excited or agitated dogs can easily knock over a lit candle or pumpkin. Be sure those items are away from your dog’s reach, or consider a battery-powered candle that does not burn. Think twice about dressing your dog in a costume. While some dogs might enjoy being dressed up, many don’t. Experiment first to see if your dog likes being in a costume. If he shows any resistance, don’t do it. Be prepared. If you take your dog with you while trick-or-treating, be prepared at all times. Do not let your dog approach the door of a house, and stay clear of possible witches or goblins that may pop out. Neither children nor adults in costumes should approach a dog without the owner’s consent. Have fun but think of your dog’s safety. Finally, if you want your dog to be included in Halloween festivities, think about his safety as much as you would the safety of a small child. Marlene Marks is a dog behavioral therapist and trainer with Bark Busters, the world’s largest dog training company. For more details, call 1-877-500-BARK (2275) or visit www.BarkBusters.com to find a dog trainer in your area. After your child goes trick or treating, have them sort their candy into different categories. They could sort candy by type (chocolate vs. gummies), size, shape, color or taste. What is the opposite of spooky? What is another word for spooky? Tell me something that is spooky – once they give you an object, have them tell you more about the object. For example, let’s say they say “witch.” Then have him/her tell you what a witch has, where you find a witch, what does a witch do, etc (these are all salient features). For a list of great Halloween Books, click here. You can read summaries and even take a look at the first few pages of the books. As a speech-language pathologist, I love holidays for the language-rich opportunities they provide. For starters, my kids reliably arrive to therapy sessions bursting with things to talk about, from Halloween costumes to anticipated candy. And research supports that children learn best when they’re motivated and excited. By incorporating speech-language goals into holiday activities, you can encourage your child’s development in a fun and engaging context. 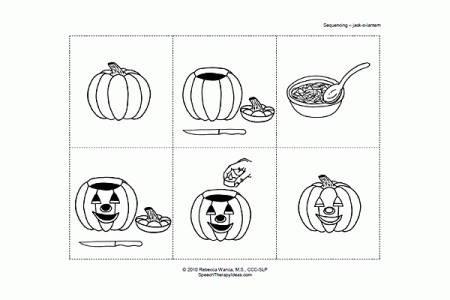 Enjoy these 5 fun ways to build speech and language skills during Halloween fun. vocabulary development, literacy, and comprehension. 2. Create a book or timeline about your Halloween plans. For many children, Halloween festivities can be overwhelming. Prepare them ahead of time by creating a book about what you will do during Halloween. Include places you will go, things you will see, and people you will be with. You might even include appropriate phrases your child will use at Halloween (e.g. “Trick-or-Treat” or “I like your costume!”). This activity targets: vocabulary, sequencing, literacy, narrative language, social skills. 3. Create a fun Halloween snack. There are lots of fun and creative ideas on the internet (example: mumified pizzas). Write out the steps needed to make the snack, and help your child brainstorm things you will need. Afterwards, encourage your child to share their snack with others and describe how they made it. 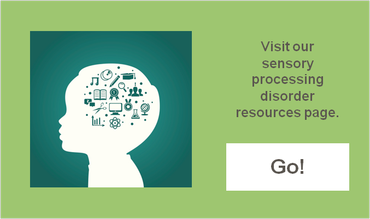 This activity targets: executive function, sequencing, vocabulary, expressive language, social skills. 4. Create a Halloween craft. Crafts are a great way to work on sequencing, vocabulary, and following directions. The internet has endless ideas for creative kid-friendly crafts. A few of my favorites are Enchanted Learning and DLTK Kids. Encourage your child to share their craft with others and explain how they made it. This activity targets: sequencing, vocabulary, following directions, expressive language. 5. Make a Halloween scrapbook to remember the day. Take digital pictures throughout the Halloween festivities. Afterwards, print each picture out and glue them into a construction paper book. Help your child describe what happened in each picture (Who is in this picture? What is mommy doing? Where are we going?, etc). Encourage your child to share their Halloween scrapbook with family and friends. This activity targets: answering questions, literacy, expressive language, social skills.